This new concept model outputs a brighter, clearer image similar to typical TVs. 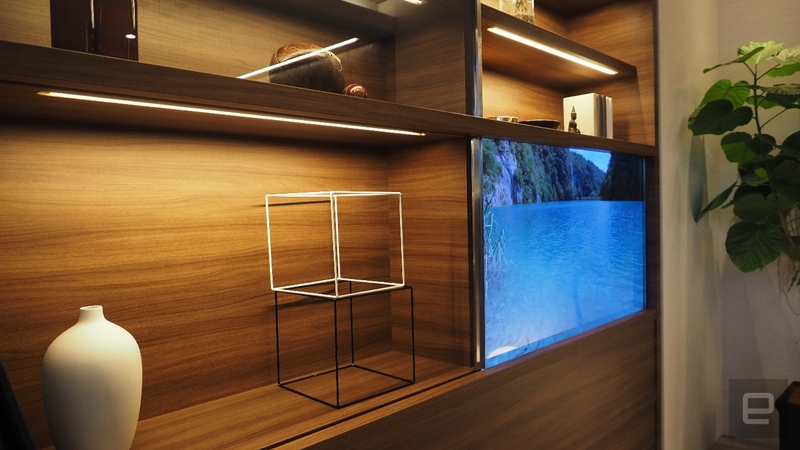 Panasonic has shown off a transparent TV before, but the company has since improved the image quality to the extent that the idea of a television built into your furniture's glass panes is not only possible -- it's right here. 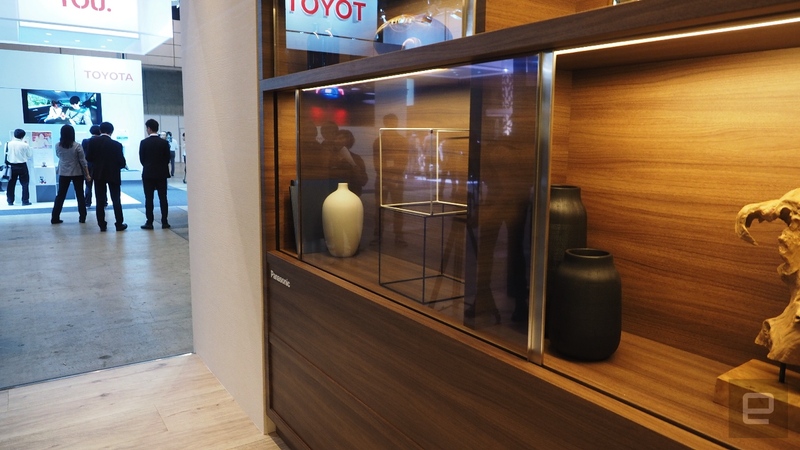 The OLED screen is made from a fine mesh, embedded into the glass sliding door. While the TV image is visible even with the backlighting on, once it's dimmed the image is clear and bright enough to be almost indistinguishable from existing televisions. (The last model was a bit too dim, and required under-shelf lighting to boost the image.) Turn the TV panel off, however, and it's hard to tell it was ever there to begin with. Want one? Panasonic's spokesperson says the television is likely to stay in development for a while longer: at least three more years.